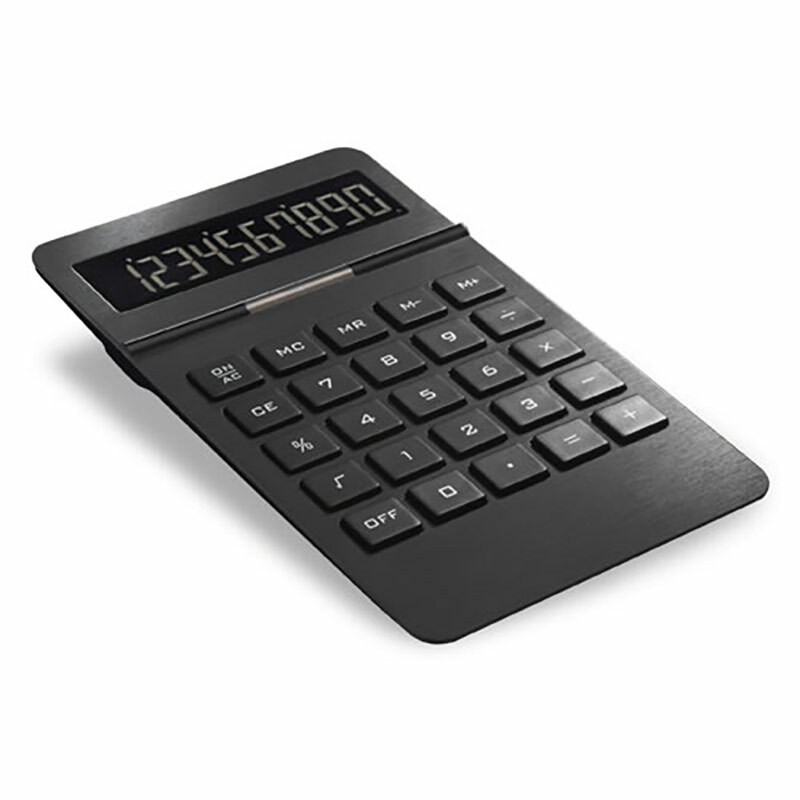 A stylish desktop calculator in a sleek, slimline design and featuring a black brushed metal finish. These calculators have raised buttons for ease of use and are dual-powered by both solar and battery. The battery is included. 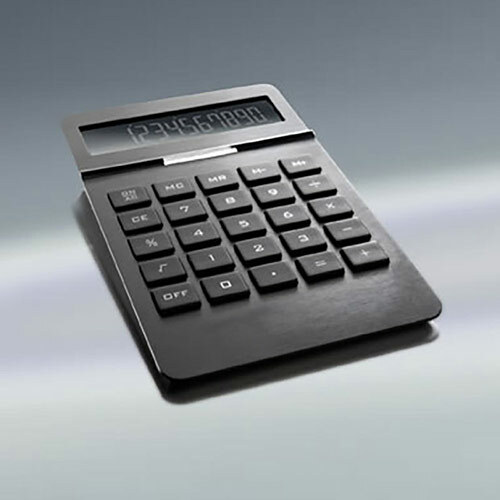 Measuring 180 x 110mm and just 20mm high, they can be engraved at the foot of the calculator, below the buttons. Laser engraving is provided free of charge for your entire inscription and is a perfect method to leave a clean, crisp and permanent impression of your brand name, logo or marketing message. Each calculator is supplied in a micro-fibre sleeve within a gift box.